mkorpela/pabot: Parallel executor for Robot Framework test cases. A parallel executor for Robot Framework tests. 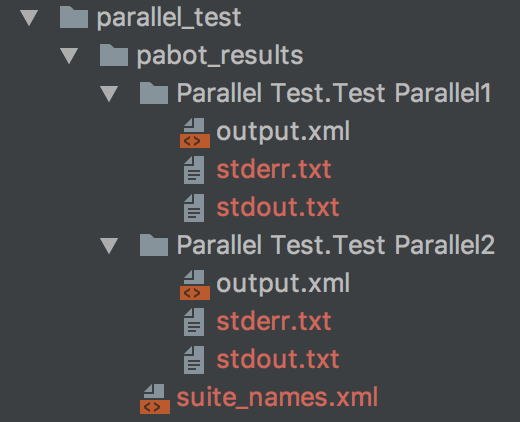 With Pabot you can split one execution into multiple and save test execution time. $ pabot --pabotlib --resourcefile valueset.dat . Robot Framework remote server at 127.0.0.1:8270 started. Robot Framework remote server at 127.0.0.1:8270 stopped.